A contest is the best place to show your worth in the photography art. As many other notable evens photo contests and competitions can be paying but instead of a small entry fee you get an opportunity to demonstrate your photo talent to other photographers and an experienced jury and to learn something new from them. So now, we’d like to present you the list of photo contests and competitions of 2011 which, undoubtedly, will be interesting for professional photographers and amateurs as well (in fact, the list contains events which will take place from March till December 2011). So stay current, because if you don’t the winner’s prize will be grabbed by someone else! Your Shot National Geographic Photo Contest 2011 To get your own My Shot page, start by submitting your best photo to Your Shot. Submissions are accepted beginning on the 15th of every month. Double Takes Photo Contest Images can be of anything, in any style, that shows how things can be re-used or recycled. The more unusual or fun the better. he exhibition of finalist works, voting and awards will take place at The Invisible Dog, Brooklyn, New York, 11-13 November 2011. Deadline: 29st March 2011. Convozine April Photography ChallengeTheme: Contrasts (The act of contrasting, the state of being contrasted; A striking exhibition of unlikeness. The relative difference between light and dark.) Winners will be announced on May 3rd, 2011. Deadline: 30th April 2011. Out of Focus Photo Contest March 2011 Submit your best photo that display the main subject or the entire image out of focus. Deadline: 1st May 2011. Galerie Huit Photography Open Salon 2011 Submit your best photo that display the main subject or the entire image out of focus. Deadline: 1st May 2011. 2011 ASME International Design Engineering Technical Conferences Submit your best photo that display the main subject or the entire image out of focus. Deadline: 1st May 2011. Champlain Valley Photo SlamSubmit your best photo that display the main subject or the entire image out of focus. Deadline: 1st May 2011. Pet Photo Contest 2011Submit your best photo that display the main subject or the entire image out of focus. Deadline: 1st May 2011. 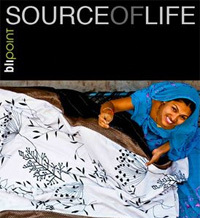 Photo Life call for entry Submit your best photo that display the main subject or the entire image out of focus. Deadline: 1st May 2011. �Show off” your school�photography contestSubmit your best photo that display the main subject or the entire image out of focus. Deadline: 1st May 2011. British Wildlife Photography Awards 2011 Categories: Animal portraits; Hidden Britain; Coast and Murine; Urban wildlife; Habitat; British seasons and others. Deadline: 2nd June 2011. 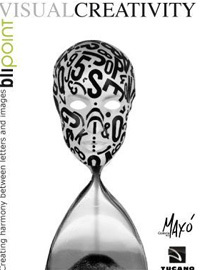 Blipoint Photography contest �Visual Creativity� Visualize time in our lives and represent it expressing your creativity in the creation of your own poster. Deadline: 3rd June 2011. London Street Photography Festival World-class photography and a diverse programme of exhibitions and interactive events at London venues including the National Portrait Gallery, the V&A, the British Library, the German Gymnasium and St Pancras International.Deadline: 7-17 July. Celeste Prize 2011 Photography Competition The exhibition of finalist works, voting and awards will take place at The Invisible Dog, Brooklyn, New York, 11-13 November 2011. The prize has been established to promote international contemporary art in the widest possible sense. Deadline: 31st July 2011. Cornish Traditional Cottages � Cornwall Photo Competition Get your photo on the cover of Cornish Traditional Cottages 2012 brochure and win �100. 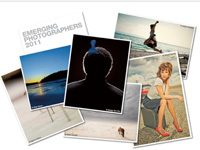 You should present your view of Cornwall through photography.Deadline: 1st August 2011. The Aesthetica Creative Works Competition is internationally recognised for identifying new photographers, artists and writers and bringing them to international attention. Deadline: 31st August 2011. 2011 EYEcon Photographic CompetitionIt is a photography competition created especially for New Zealand�s emerging photographers to showcase their talent and gain valuable experience. Deadline: 1st September 2011. 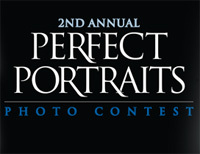 Canadian International Digital Photography Award Categories:Portraiture (people, glamour); . Nature and Wildlife (landscape, animals, urban, rural, wild);. Travel (scenic, travel, cultural);. Documentary (photojournalism, editorial photography);. Lifestyle;. Baby and child;. Commerce (services, products);. Advertisement;. Portfolio Divisions: Professionals; Beginners; Students . Deadline: 5th September 2011. OWWF 15th Annual Photo Contest You’re invited to enter Old World Wisconsin Foundation’s 2011 Photo Contest! Photos taken between September 4th, 2010 and September 1st, 2011 are eligible. 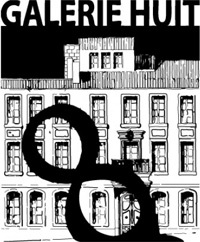 All contestants are invited to attend the opening night reception at Caldwell Hall at OWW on Friday, 9th September 2011 from 4pm – 6pm. 2012 Land Rover Photography Competition Pictures of Land Rovers in locations stretching from rural UK, through to vehicles in a foreign urban environment are expected. /strong> 12th September 2011. Olympus BioScapes Int�l Digital Imaging Competition Olympus America Inc. is in the eighth year of sponsoring a dynamic international photo competition that honors the world�s most extraordinary microscope images of life science subjects. Deadline: 30th September 2011. 7.7 Documentary photo contest The spirit of 7.7 is to become a new way of diffusion of photographer�s work that escapes from the traditional market�s logic and its dominance over the media�s agenda. Deadline: 15th October 2011. 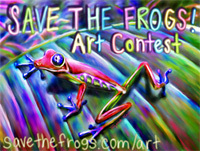 Frog Art Contest SAVE THE FROGS! All ages and nationalities are welcome to enter the contest. Deadline: 31st October 2011. 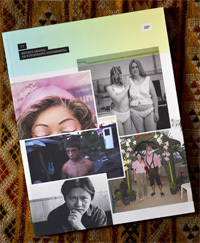 Changes International Photographic Competition. What has recently changed in your life? How are your surroundings changing, how are people changing around you? 31st October 2011. Global Photo Awards he Global Photo Awards is a leading independent international awards competition honouring excellence in the art of photography. This celebrated event shines a spotlight on the best photographs worldwide and recognises the finest images from several levels of photography, whether professional, amateur or student. Deadline: 1st November 2011. Amateur Photographer of the Year 2011 Welcome to Amateur Photographer of the Year 2011 in association with Canon. Deadline: 25th November 2011. 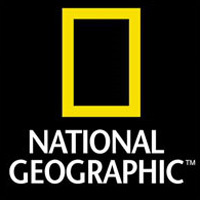 Smithsonian magazine�s 9th Annual Photo Contest Categories: Americana, The Nature World, People, Altered Images, Travel. Deadline: 1st December 2011. ChooseFilm Distinctions Awards The Fujifilm Distinctions Awards has joined forces with ChooseFilm.com, the online community dedicated to film photography, to launch the Choose Film Distinctions Awards 2011. Deadline: 31st December 2011. I Am An Entrepreneur Photo Competition. This competition recognizes the outstanding use of photography to tell compelling stories of role model entrepreneurs from around the world. Anyone globally is welcome to participate in this competition.Deadline: 31st December 2011. If you’d like to supplement this list with other photography contests, you are welcome to do it in the comment field below.